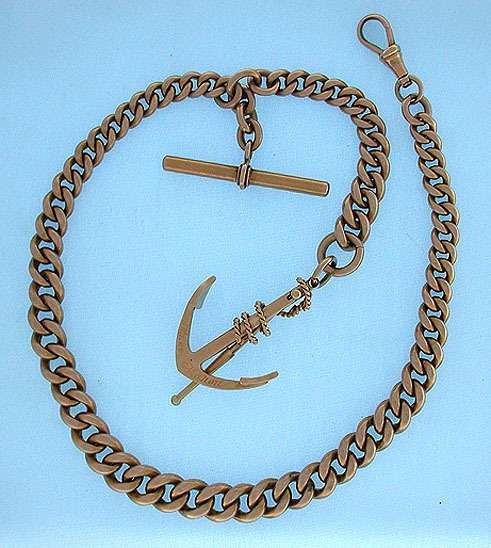 Handsome and very heavy 14K pink gold tapered link antique pocket watch chain with nautical fob circa 1900. 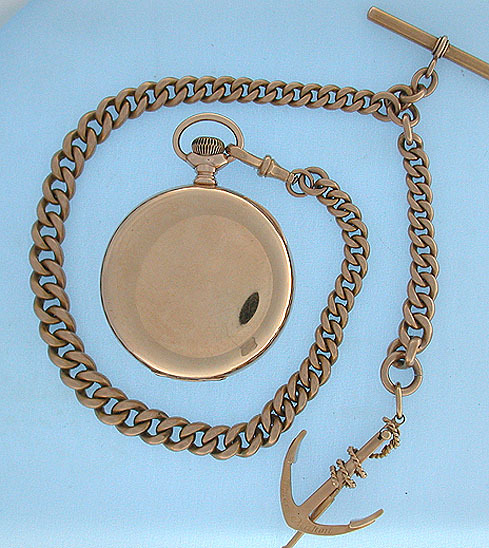 Shown in the photo with a 55 mm watch to illustrate the size; the watch is not included. Weight 63.4 dwt.